Lincoln is a small town in Lincolnshire, England. The Lincoln Cathedral being its central attraction is on a very steep hill called the Steep Hill. Steep hill though a pain to climb, it is a treat to your eyes. The road to Steep Hill is connected and starts with High Street, which is filled with shops which have the regular chains to local brands. As you progress towards the hill, you will notice small local shops and boutiques, which go all the way till the top. Shops range from clothes, accessories, vintage book stores, antiques and obviously food. The food scene in Lincoln is pretty chilled and nice. 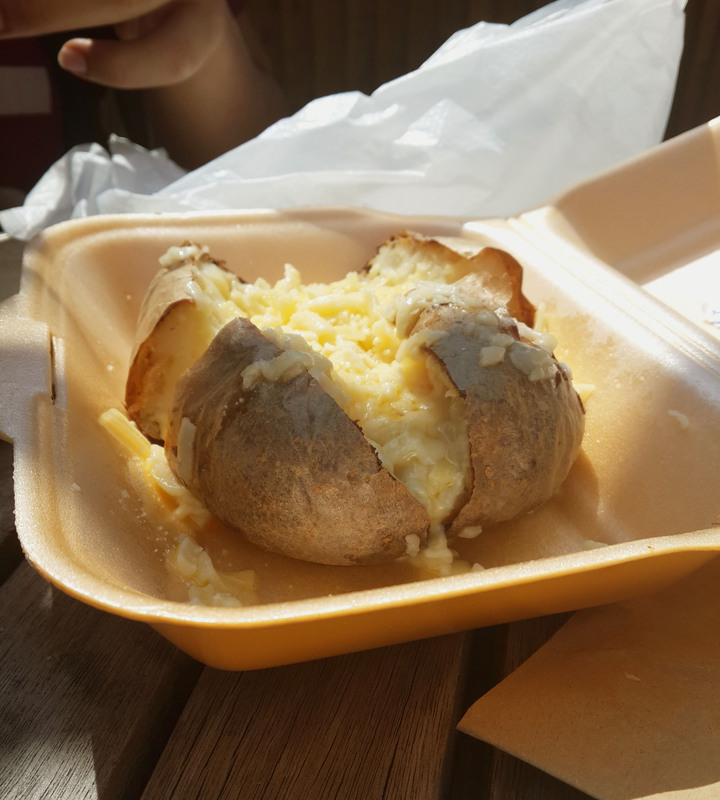 As it is a University town, there are loads of food options with decent budget. Having all the regular food chains like Nandos, Wagamama, McDonalds, Dominos and more. I tried some new places and completed my “to-eat” list. 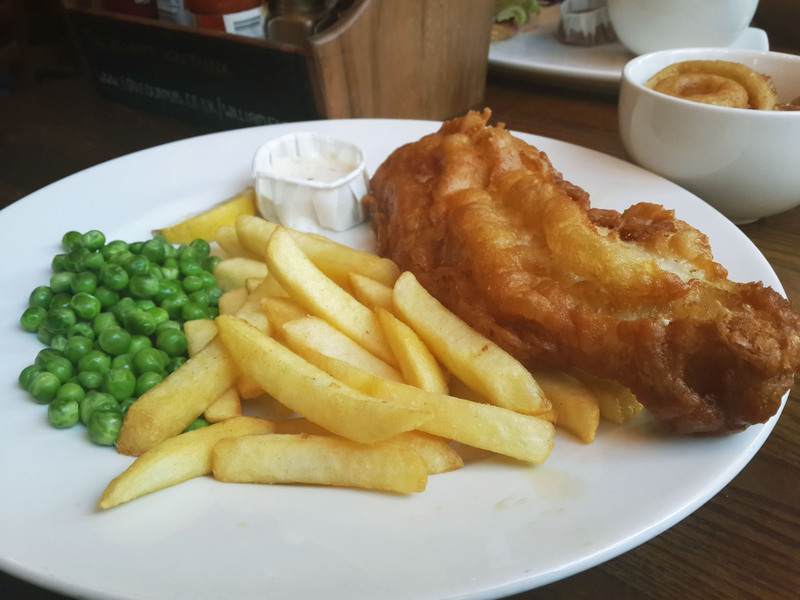 First on my to-eat list was the very famous British Pub food. So I went to William Foster. William Foster had wooden decor, small but many lights and loads of posters planted aesthetically around the place. It also had a jukebox, weird waiter asking my ID proof even when I told him my exact age, which he chose not to believe (I should be flattered, but I was annoyed at that time). Finally we ordered the food and I ordered a Chicken Curry Pie with peas and chips which was served with their famous Curry Sauce. I can say that now while typing about it, I am craving for the pie again. Perfectly balanced spiced curry. Tender Chicken and obviously great crust. It made my day. I was so happy with the pie. Slice was huge, and chips and peas made it more filling. 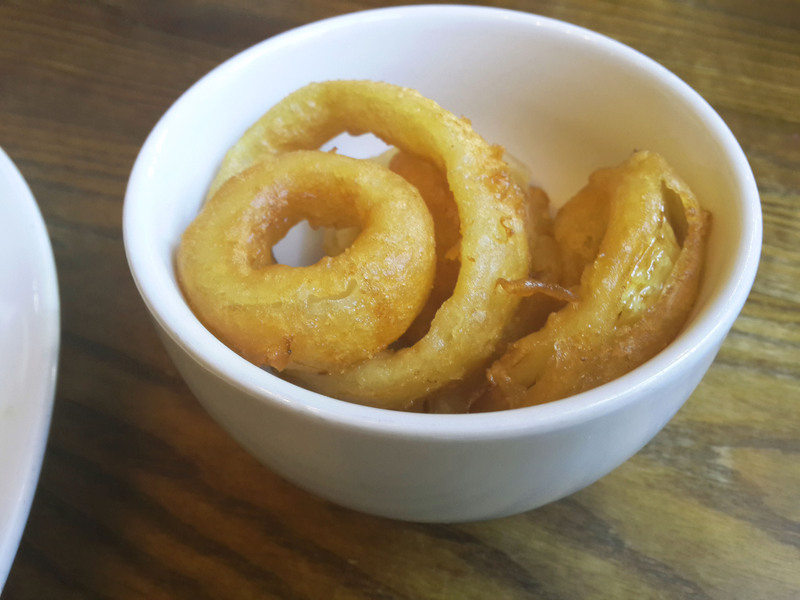 We also ordered some Onion rings which were good enough. Fish n Chips were delicious. Again Cod Fish nicely fried and soft. But I would say nothing can beat the Golden Hind in London. 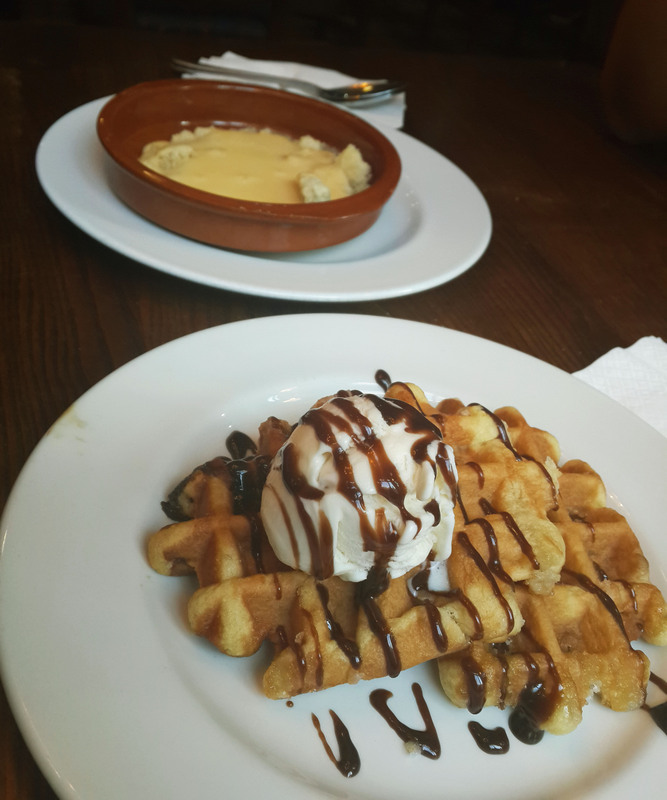 For desserts we ordered Waffle with Ice cream and Custard Crumble. Desserts weren’t that great as they were the supermarket bought cakes and waffle, which you realize from the first bite. But the pie just made up for everything. For lunch one day we went to this tiny sandwich and salad shop called Top Nosh. As we waited with the long line and were trying to decide from a nice huge menu, what to eat. I realized the food was unbelievably cheap and also had a sticker posted “prices haven’t changed since 2011.” I was impressed. Mostly take away for the regulars who more than half were the office going people who needed something quick and healthy. Loads of yummy options to choose from. We went there twice but I was too busy eating than to realize I have to click a snap of the sandwich, but I did click of the huge baked potato with cheese. The sheer size of the potato was amazing and something you don’t get to see in Mumbai. Filled with melting cheese, it was a perfect side order with our delicious sandwich. On our visit to the Cathedral (where by the way Da Vinci’s Code Climax was shot, great fan of the book and movie I had to mention it). 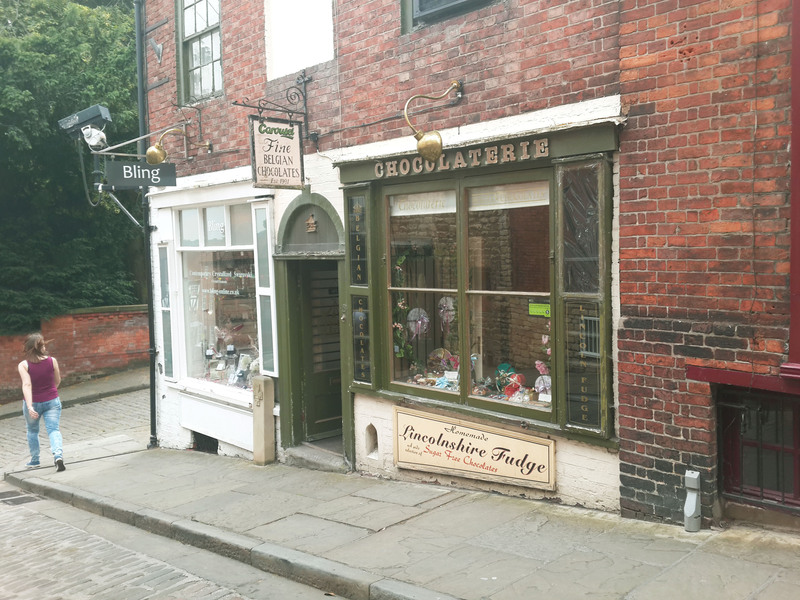 I spotted some cute confectionery shops. 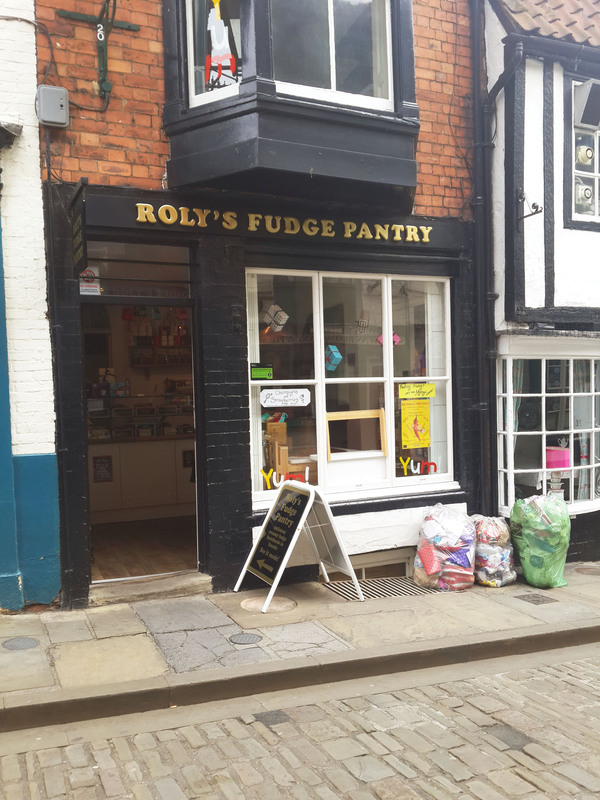 Roly’s Fudge Pantry is on the way to the hill. It is a super cute shop. With a very enthusiastic owner who also helps describe the fudge making process with such enthusiasm that you can see how much he loves it. He is just not good at explaining but making also. The fudge I bought were chocolate, apple pie, cherry and peanut butter. They were so delicious and I couldn’t just stop at one. 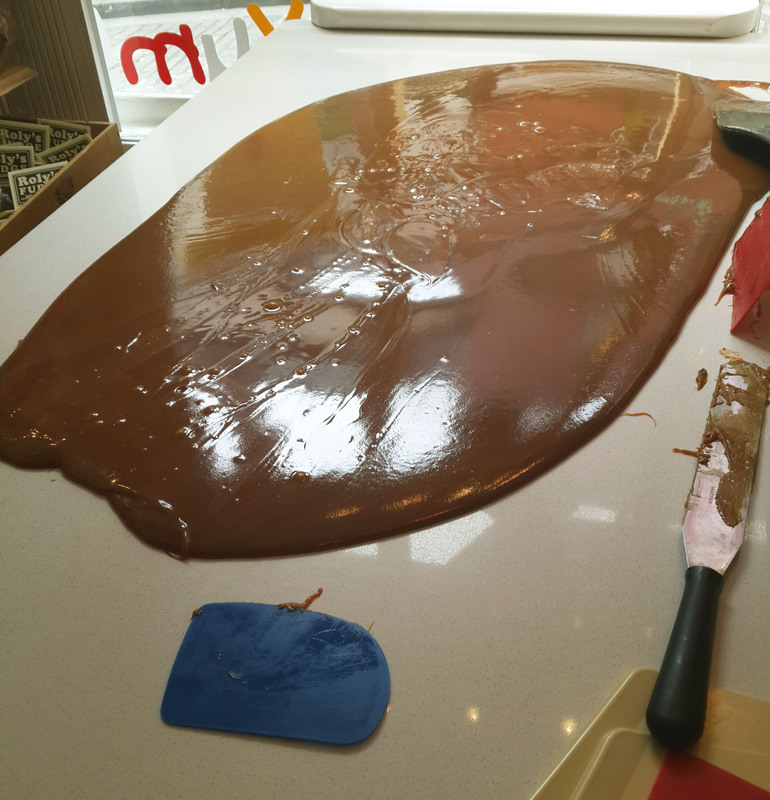 You could taste the hard work and art of cooking a perfect fudge in it. Best part no sugar oozing out of it, when you would take the bite. Wonderful flavors and must try. We usually used to bring dinner as a take away in the hotel room, because we just could not miss the FIFA World cup Matches. One day we decided on Turkish dinner. If I say the portion size was huge, it would be an understatement. I could not even finish half my Donner kebab roll. Humongous, bang for the buck and delicious is how I will describe this. 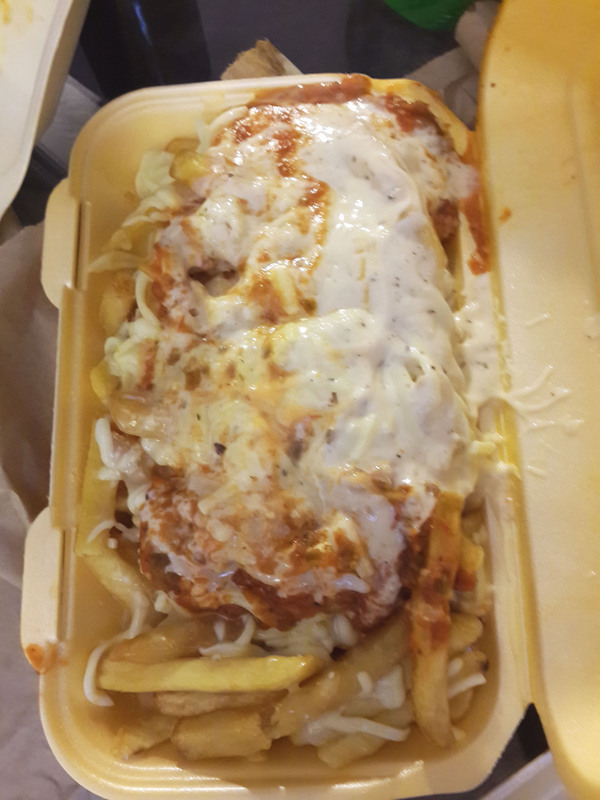 As you see the size Chips, Cheese and Sauce which was a side order, so you can imagine what was the main course like. 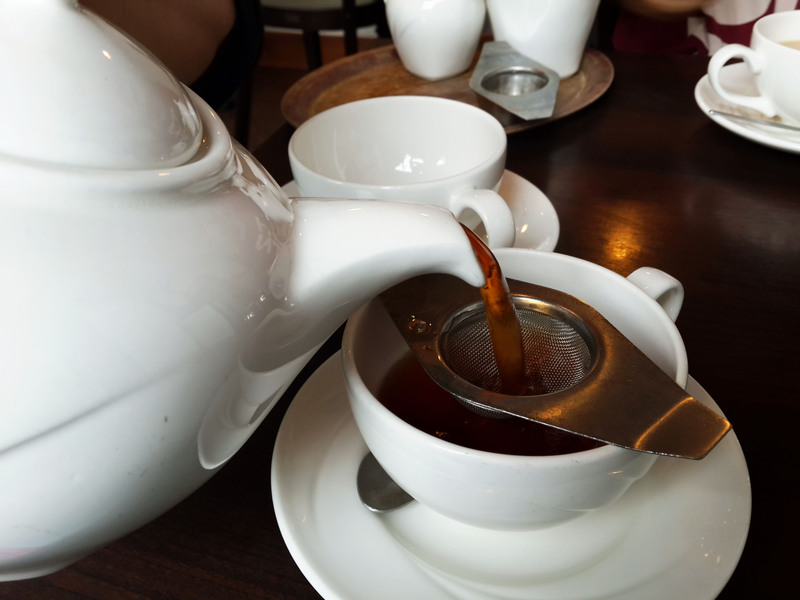 Afternoon High Tea – Check ! Stokes is known for their famous tea and coffee in Lincoln. Serving since 1902, this place serves the best tea I had in UK. I was so glad that my Afternoon tea was checked here. They serve all kind of teas, but what your looking for is their gold medal winning signature blend. What a tea! I usually prefer my tea once in the morning, but if Stokes tea is available to me, I will be having it five times. 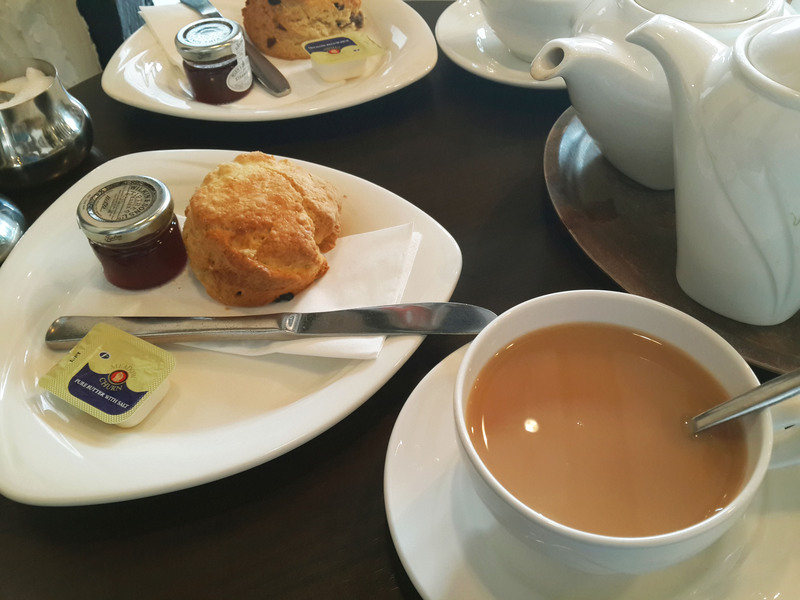 Scones are a British delicacy which is served with tea. They are a hybrid of cake and bread, which taste perfect with the tea. I had mine with jam and butter which is the classic way, clotted cream is also served with it. 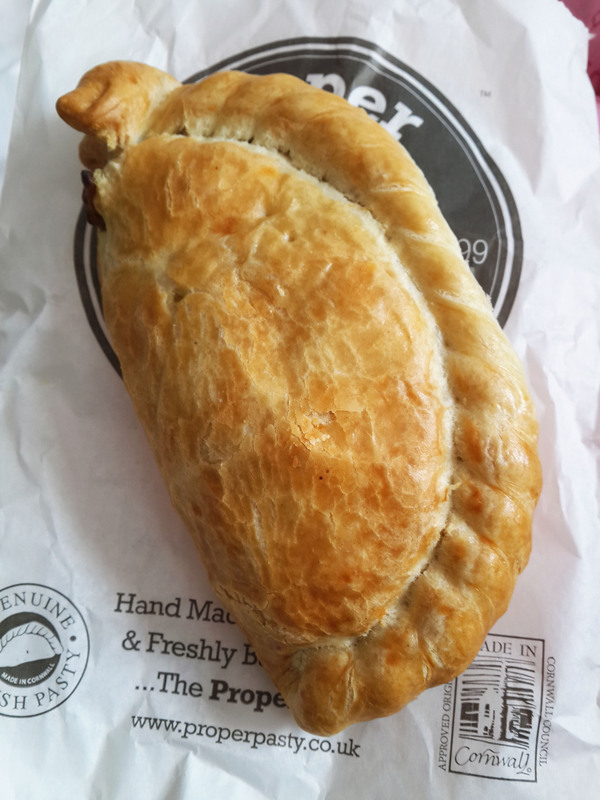 Cornish Pasty – Check ! 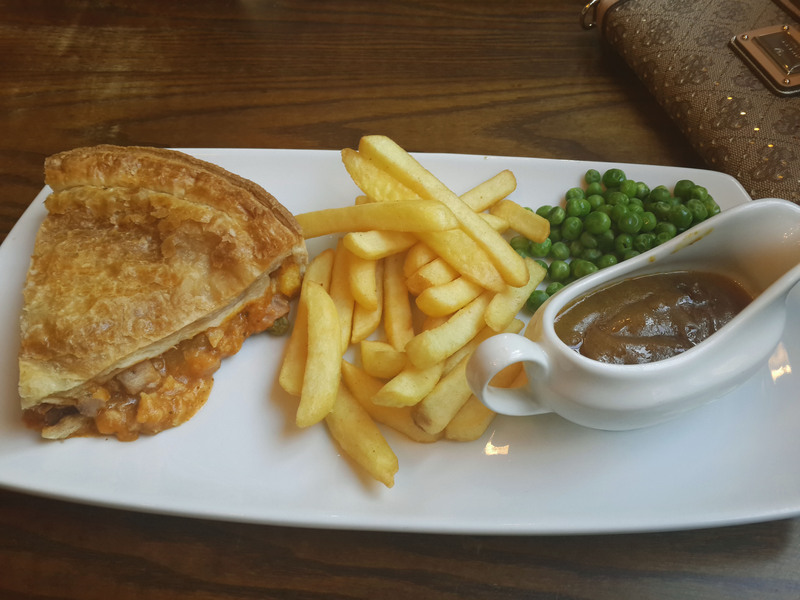 Cornish Pasty is also one of the British delicacy. It is pastry stuffed with meat and potatoes. Cornish Pasty origins are from Cornwall, which is a county in UK. Cornwall even has Cornish Pasty as their national dish. Though it is one of the things everyone should taste when visiting the UK. I did not find it that amazing. I still prefer the Pie. I found it a bit bland. The ratio of potatoes and chicken was like 10:1. It was eating Potato Pasty. But I don’t know whether it was the place or in general pasty taste like this. If you want to eat pasty from Proper Pasty, you might just avoid it. Last dinner at Lincoln was at Handmade Burger Co. Handmade Burger Co is a burger chain throughout UK which serves (obvious) handmade burgers, the meat by which the burgers are made is 100% prime Scotch beef. Everything is freshly cut in the restaurant. They have a wide variety of menu. This is what I ordered. I absolutely love the size of this glass. It is the like the huge Lassi glasses we get in North. 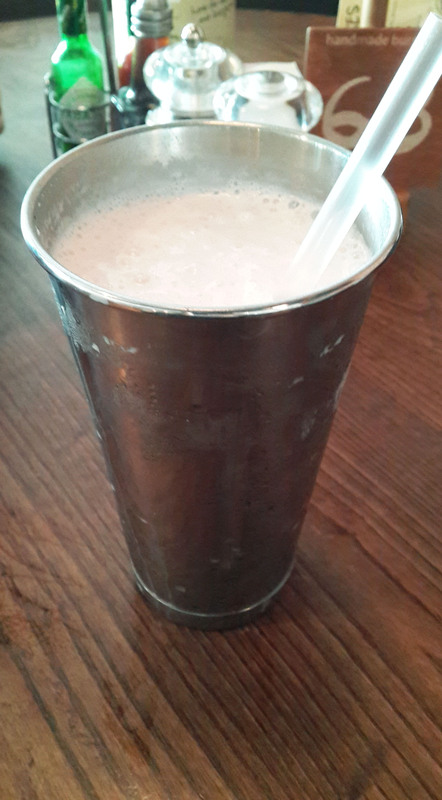 The strawberry Milkshake was so good. I feel this should be the apt size for milkshake all over the world. A perfect inclusion to the meal. Again look at that size! They nailed the seasoning. 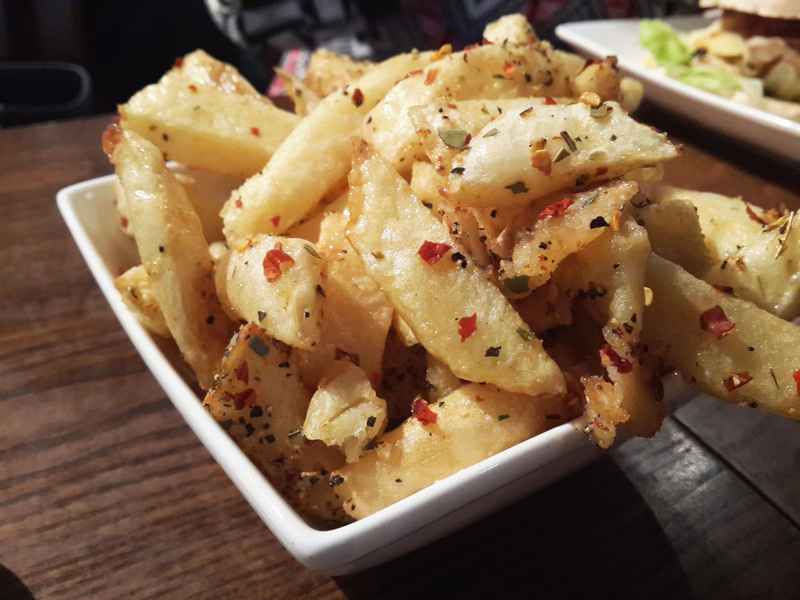 The chips were fresh and delicious. 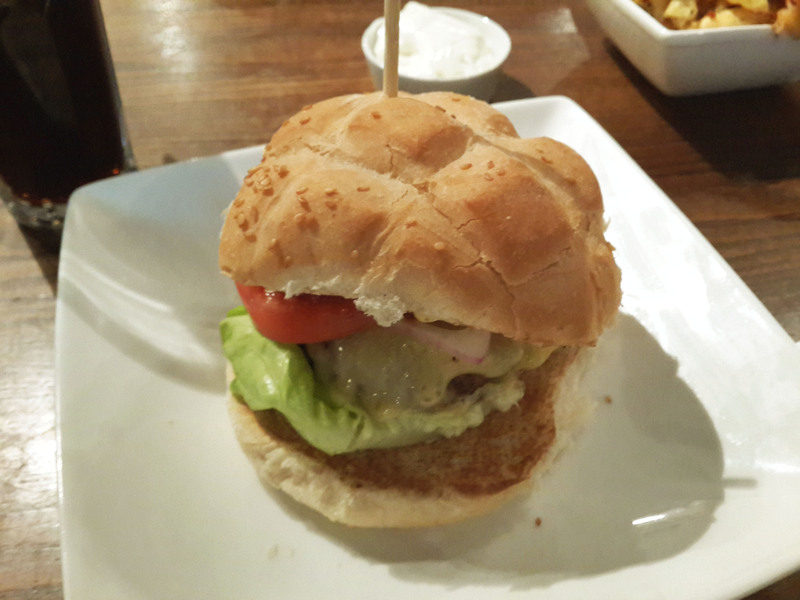 Now comes the burger – Classic Beef Burger with cheese, topped with sweet and spicy relish and salad. Wow! Is all I can say. I thought nothing topped the Five Guys burger, but this comes at the same level. They both taste differently. Five guys is more diner tasting. This is one has its own taste. Melt in your mouth beef. Relish was a tad bid sweet but on the whole this one is an absolute delight. If you ever visit UK and see Handmade Burger Co, just enter and eat. Don’t even think twice. Eskimo is the cutest shop ever. I absolutely loved the decor. 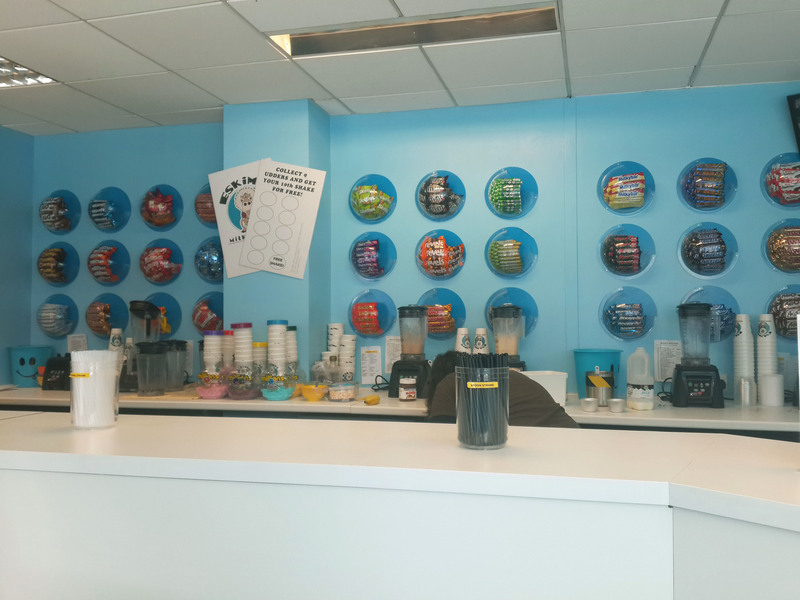 Blue and white all the way, with all the chocolates they put in the shake are stored in the small domes on the wall. The menu is huge and I mean 100 flavors huge and it will take you 15 minutes to decide on which one to drink. I ordered Nutella and Peanut Butter. It was so so good. It was purely amazing. 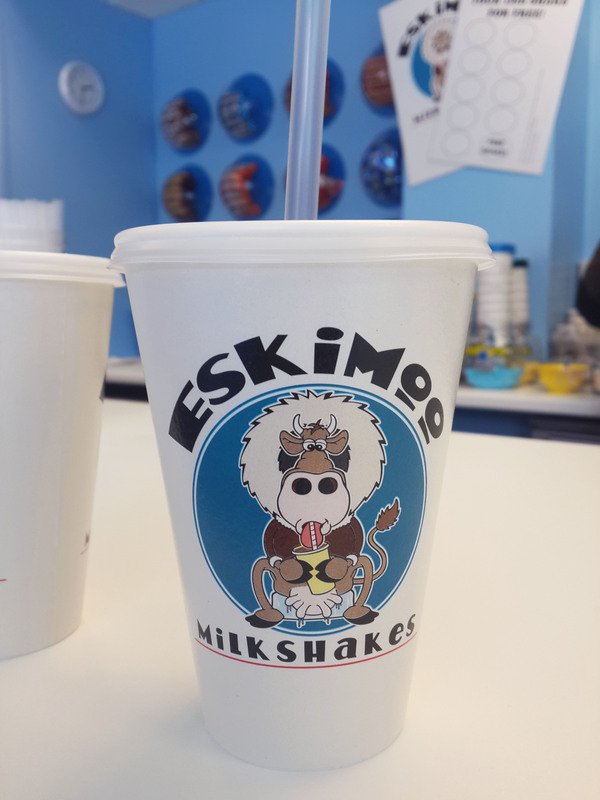 Though sad, that I kept Eskimo for the last day, but it was a perfect ending to my fabulous trip in UK. So after checking everything from “to-eat” list and eating more food than I can imagine. I can only thank God for the food filled trip I had. One of the best trips on terms of satisfaction of food and covering my to – do lists. All I can say is I can’t wait to go back.